Hey everyone! Welcome back to the latest tier list. We're still waiting on statistics from a few sources to verify findings, but so far the population size seems large enough to draw some conclusions. As far as the support patch goes, Karma's definitely getting a lot of attention as a result of her low cooldown AOE shield. Meanwhile, the Blitzcrank nerfs seem to be somewhat more of a buff as a result of his improved objective control via his ultimate tweak. We'll be adjusting champions as more data flows in over the next few days, but meanwhile, I hope all of you are enjoying your weekend and for those of you in America, happy July 4th! FOTM Tier List for 6.13 now available! Alistar [Tier 2 Support] - With his AOE heal, some people may theorycraft Alistar to also be very good this patch with the Ardent Censer changes. However, building the item on him leaves him squishy, and makes his hard engages much less effective. Blitzcrank [God Tier Support] - 75 units is not very impactful. When Singed received a 75 unit buff to his fling, everyone thought he would be overpowered, but honestly, the range is barely noticeable. Meanwhile, the same holds true for Blitzcrank, and his hook actually feels a little better than before. Additionally, his Power Fist (E) can no longer be accidentally cancelled mid-punch, increasing his consistency. Lastly, his ultimate no longer hits monsters out of combat, allowing him to safely clear Baron and Dragon pit while still retaining his ultimate for team fights, a slight buff for him overall. Galio [Tier 1 Mid] - Galio is extremely underrated right now as an anti-mage champion. 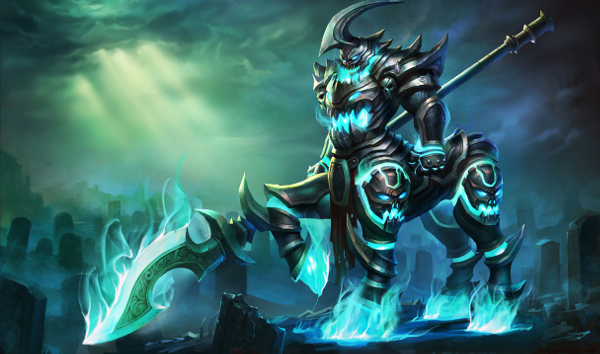 With so many AP champions back on the rift and Zed in a balanced state right now, Galio is very strong as long as you do not pick him into a Talon. 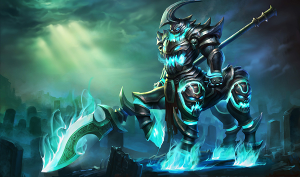 Hecarim [God Tier Jungle] - Hecarim is undoubtedly the strongest jungler in the game now. His synergy with Trinity Force and Dead Man's Plate allow him to deal insanely high damage and retain his unkillable status with Cinderhulk. I would probably ban him most games if possible. Karma [Tier 1 Support] - As mentioned in the article yesterday, the new Ardent Censer and Crucible work wonderfully with her Mantra + E. Although maxing her E first leaves you weaker in lane, she makes up for it via her team fighting ability once it starts breaking out. Players that are more offensive may still opt to max her Q first then her E, but it is really up to personal preference. Sona [Tier 1 Support] - Similar to Karma, Sona's AOE shield and multi-heal via her W makes her very strong this patch as a healing support. However, Sona has a stronger poke in laning phase coupled with an AOE stun. Volibear [God Tier Jungle] - Similar to Blitzcrank, Volibear's nerf was also mild. Players will definitely notice a much slower early game jungle clear, but his mid to late game is relatively unchanged. He also scales incredibly well with Cinderhulk. Zed [Tier 2 Mid] - Despite Zed's massive ban rate, I feel comfortable dropping him down to a balanced state. Some players may argue that being popped from half health via Duskblade + Zed ult feels very unfair, but the fact of the matter is that Zed's win rate consistently drops as you move from Bronze to Diamond. His team fighting requires good decision-making, and his burst can still be easily countered by Zhonya's Hourglass.